Medicinal plants and botanical extracts are often marketed in skincare as providing naturally-derived ingredients for skin health without harsh or irritating side effects. Mugwort is one such botanical that delivers as promised. It is backed by a long history of supporting good health for both the body and the skin. Artemisia vulgaris, commonly known as mugwort, is a perennial weed that grows in Asia, Europe and North America. It has a history of many uses. It has long been used as a medicinal plant to address irregular menstruation. In Chinese tradition, mugwort is used to relieve stomach pain and treat gastric ulcers or hepatitis. Mugwort is also actively employed as a culinary herb for poultry and meat, and used to flavour tea and rice dishes. Mugwort has a broad spectrum of pharmacological benefits. Mugwort helps regulate the activation of immune cells by targeting cytokine and macrophages in inflamed tissues. Cytokines are responsible for activating the growth rate of skin cells. Chronic and repeated inflammatory reactions tend to cause an abnormal growth rate in skin cells; this can thicken the skin. Treatment with mugwort extract reduces the production levels of specific pro-inflammatory cytokines, thereby keeping inflammation under control and inhibiting excessive cell growth. Macrophages play an essential role in immune responses. They are a type of white blood cell that defends the body by digesting cellular debris, foreign substances and harmful microbes. Under normal physiological conditions, macrophages release signaling molecules to help mediate the immune system’s regular responses. Inflammation occurs when an excess of signaling molecules is produced, causing immune cells to attack one’s own tissues instead of foreign substances. Mugwort extract helps to regulate the production of signaling molecules and prevent macrophages from triggering an excessive immune response. Mugworts are a natural source of antioxidant compounds. Antioxidative molecules are beneficial to human health in many ways. They limit oxidative stress by scavenging the free radicals caused by an accumulation of reactive oxygen species (ROS) in the body from UV rays. They also activate the defense enzymes superoxide dismutase (SOD) and catalase. Plant-derived antioxidants can protect the human body with little or no side effects. In comparison, synthetic antioxidants have been shown to cause liver damage and induce mutations in our cells. Mugwort also possesses anti-microbial properties that are comparable to that of a standard anti-biotic. Anti-microbial ingredients prevent the growth of microorganisms such as bacteria, viruses and fungi. Certain skin disorders are caused by microbial infections. Acne, for instance, is a multi-factorial skin disease linked to the presence of a bacterium, propionibacterium acnes, which generates inflammation. Microbial infection can also hinder the progress of wound healing which is particularly important for patients with acne scars. When mugwort inhibits the growth of micro-organisms, wound healing can take place naturally and new skin cells can be regenerated, leading to tissue or scar recovery. 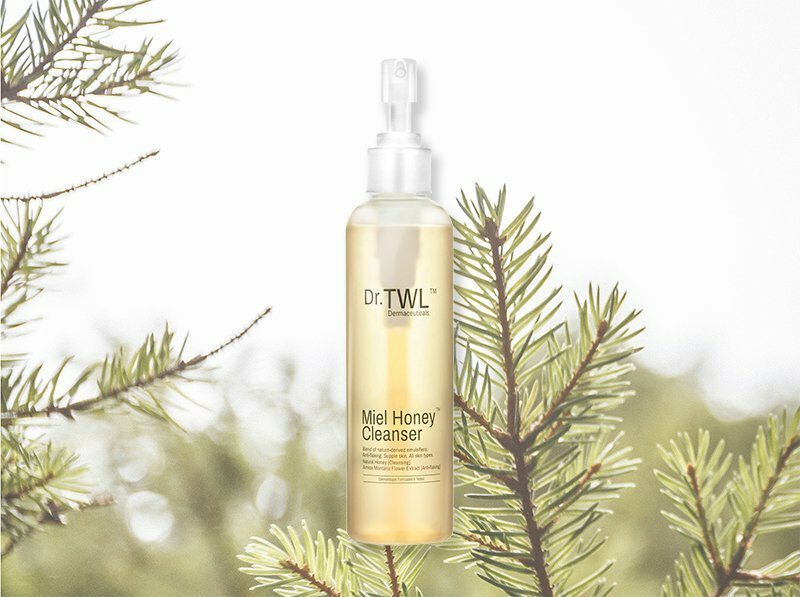 A key ingredient in the dermatologist formulated Miel Honey™ Cleanser is mugwort. With its anti-inflammatory, anti-microbial and antioxidant properties, it is no surprise that mugwort has found its way into precision skincare formulations. 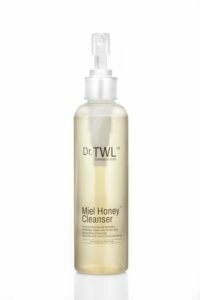 Miel Honey™ Cleanser is a gentle cleanser that lathers up using medical grade honey and botanical emulsifying ingredients. Commercial cleansers that provide a foamy lather tend to contain harsh surfactants, particularly sodium laureth sulfate (SLS). Using such cleansers may remove the skin’s natural lipids and upset skin pH levels. Patients with acne may find that such harsh cleansers irritate the skin and can potentially worsen acne conditions. This cleanser gently and deeply cleanses the skin without stripping away natural oils. It is perfect for all skin types, even acne-prone skin.